Learn, Talk, Play, Buy and Admire Music! 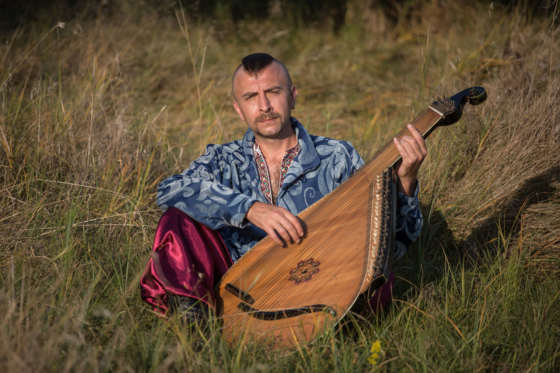 Join Brian Cherwick for the Ukrainian musical experience of the summer! 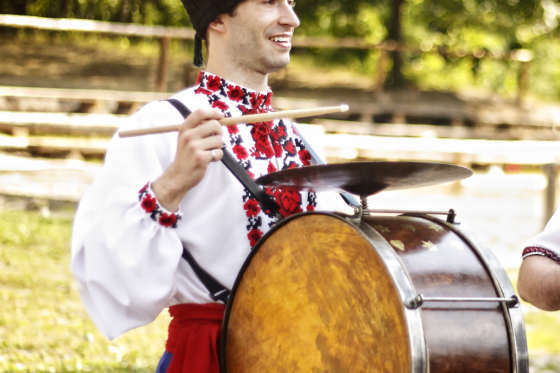 TSYMBALY – BANDURA – KOZA – BAYAN – SOPILKA – SKRYPKA - TREMBITA, Which Ukrainian musical instrument grabs YOUR attention? Learn about each historic instrument and have opportunities to see, hear, learn to play them or purchase your own! This is the tour for those who appreciate the best of Ukrainian culture – good company, incredible talent, only the best zabavas and, of course, lots and lots of music!!! 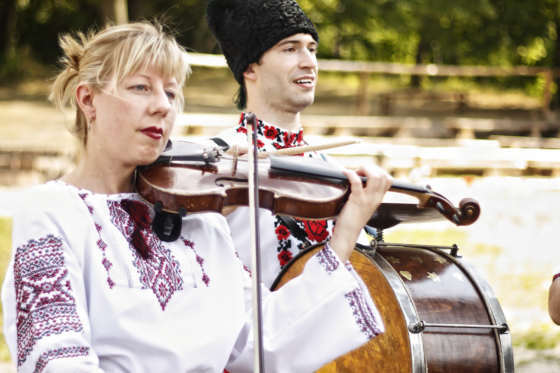 From club music to jazz and all the way to authentic folk at festivals and Ukrainian villages. It’s a Musical experience you don’t want to miss out on! Spend a couple of days in Ukraine’s Capital Kyiv and experience a variety of exciting, fun things we have planned for you! Join workshops on music, rituals, wreath weaving, and so much more! Even meet with a famous musician or two! Do you know what ‘white voice’ stands for? Well, we’ve got the perfect ‘teachers’ to explain it – ‘Holos’ vocal folk ensemble is surely one of the must-see acts in Chernivtsi and you’re lucky to have a front row seat! Along with a fascinating culture Bukovyna also has beautiful sights to visit including Oxford-like Chernivtsi University, Kozak fortresses just outside of the city, stunning views and more! We will also give you some time to explore the city on your own, and discover some cool bands in downtown pubs! You'll be going on a Cobblestone exclusive trip to the village of Tulova! As the ancestral homeland of many waves of Ukrainian immigrants to Canada, visiting this area is a true highlight of our tours as it gives a uniquely authentic village experience! Next we'll stop in Kosiv for even more exciting musical adventures. Upon arrival you'll have the evening to yourself but we recommend a visit to the sauna or a walk through the Dovbush caves. The next day you'll receive a workshop on the Drymba (mouth harp). You'll also make a small side trip to Bukovets for a Cobblestone exclusive - an authentic Hutsul wedding! The last stop on our journey is the beautiful Lviv! On our way there, we will stop in Kolomyia and visit the famous Pysanka (Easter egg) museum. 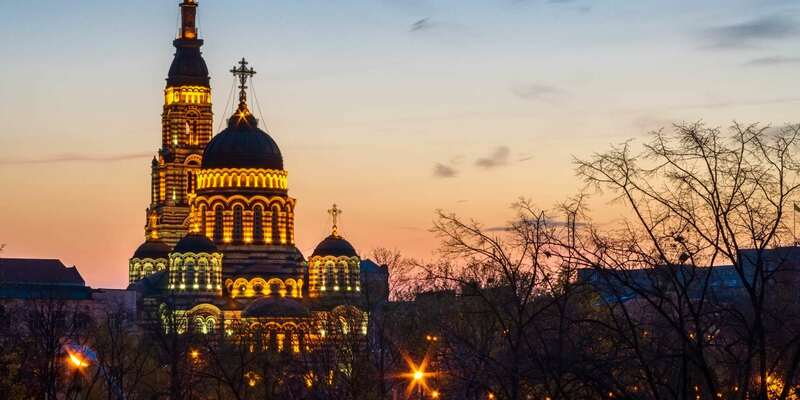 In the ‘Paris of Ukraine’ that Lviv is often called, you will have time to explore the city and learn everything about its history, visit some of the many interesting restaurants and clubs and, of course, check out what music people in this city like most. To wrap up the party-adventure-fun-music-filled time in Ukraine, we will show you how to party Galician style and enjoy the company of some special guests! Musical Workshops, chance to learn centuries-old rituals, songs and dances. Experience authentic village culture and traditions.